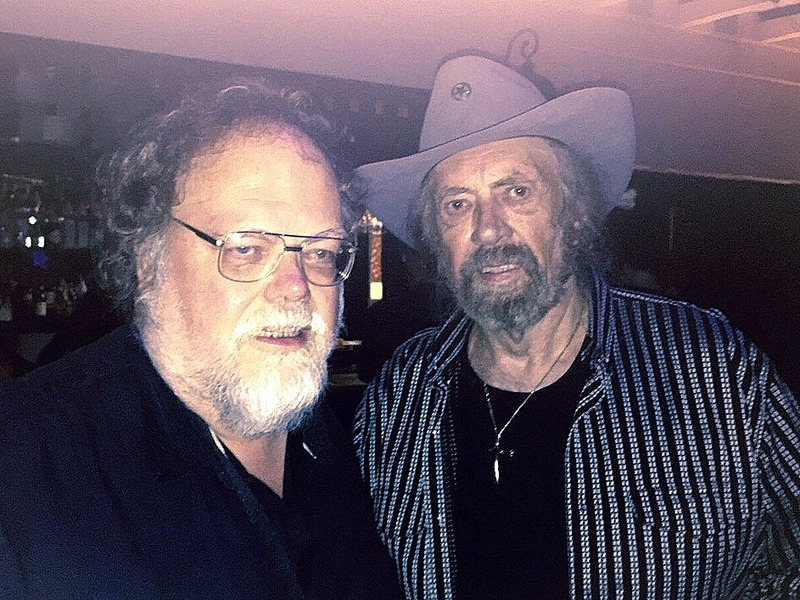 Stephen W. Terrell's (MUSIC) Web Log: Flashback: When Sir Doug Died in New Mexico. 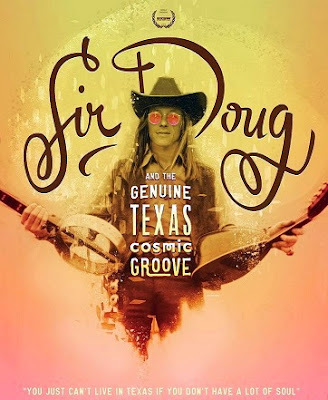 On Saturday I saw the excellent biographical documentary about Texas musical titan Doug Sahm called Sir Doug and the Genuine Texas Cosmic Grove. Directed by Texas journalist Joe Nick Patoski, the movie was part of the Santa Fe Independent Film Festival, which also brought Sahm crony and longtime sideman Augie Meyers to town for a couple of performances. 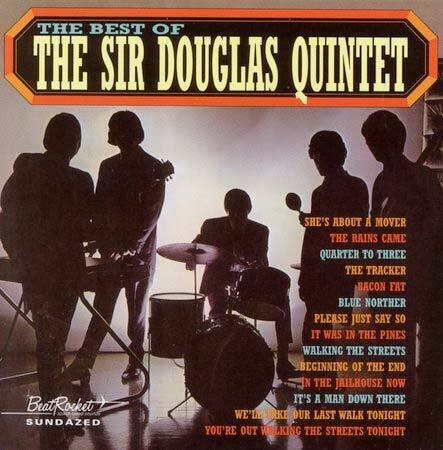 I dug Doug ever since I first saw The Sir Douglas Quartet on Hullabaloo back in 1965 when I was in still in elementary school. I only got to see Sahm perform live a couple of times -- both in the 1990s during the South by Southwest festival. I saw him play with The Texas Tornados in 1996 at the Hole in the Wall. Elvis Presley's drummer D.J. Fontana, sat in with them. 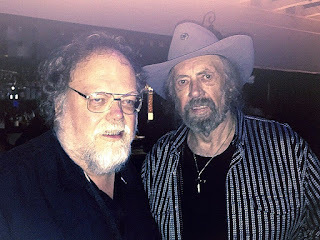 A year later I saw Doug, along with Augie, Joe Ely, Rosie Flores, Rick Trevino and others in the back of Austin's now departed Las Manitas cafe. It was a private party and I'm still not sure how I got an invitation. The Latino supergroup Los Super Seven sprang from that amazing little gig. It was my pleasure to have seen Doug Sahm play. And it was my sad responsibility to have to report on his death. I was the reporter who broke the news that Sahm had died in Taos in 1999. As I was about to go home from a long day of work, an editor got a tip that he'd died in a Taos hotel room. Sadly, it turned out to be true. Here is the initial story I wrote for The Santa Fe New Mexican, followed by the second-day story when I interviewed a local woman who spent time with Doug in Santa Fe before he died. Texas musician Doug Sahm was found dead in a Taos motel room Thursday afternoon. Cause of death was not immediately known. However, a field examiner with the state Office of the Medical Investigator determined that there was no foul play and released Sahm's body to the Rivera-Hanlon funeral home. Police and an ambulance were dispatched to the hotel, where Sahm, 58, was pronounced dead. Matthew Rivera of the funeral home said he was waiting to hear from one of Sahm's sons to find out about funeral arrangements. What Sahm was doing in Taos was not immediately clear. A woman answering the telephone at the Kachina Lodge refused to say how long Sahm had been staying there. Born Douglas Wayne Sahm on Nov. 6, 1941, in San Antonio, Texas, Sahm was well versed in rock, country, blues and Tex-Mex music. He began his long music career as a child, playing in a local band and singing on the radio at the age of five and becoming a regular on the famed Louisiana Hayride radio show at the age of eight. Sahm, at the age of 11, sang at a Hank Williams concert in Austin only weeks before Williams died. As a teen-ager he started his recording career in 1955 with a single called "A Real American Joe" under the name "Little'' Doug Sahm. Sahm did not achieve national fame until 1965, when his band The Sir Douglas Quartet had a hot with the song "She's About a Mover." Other hits by the band included "The Rains Came' and "Mendocino." His longtime musical collaborator Augie Meyers played electric organ with the Quintet. In the 1970s he became an icon of the ``Cosmic Cowboy'' scene in Austin, along with Willie Nelson and Jerry Jeff Walker. 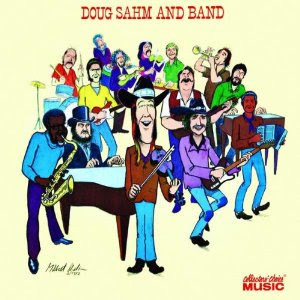 In 1973 he recorded an album called Doug Sahm & Band, which featured appearances by Bob Dylan, Dr. John and Flaco Jimenez. 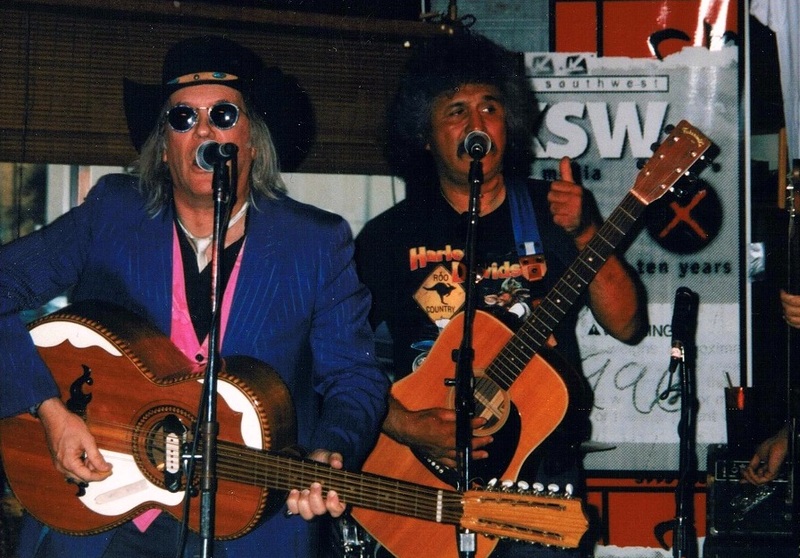 In the late 1980s Sahm teamed up with Freddy Fender, Jimenez and Meyers to form the Tex-Mex super group The Texas Tornados, which had hits with songs such as "Who Were You Thinking Of ?" and "Hey Baby Que Paso?" Last year Sahm sang a verse of Rio De Tenampa on the Grammy-award-winning Los Super Seven CD, which included members of the Texas Tornados, Los Lobos and other Texas and Hispanic musicians. Texas musician Doug Sahm had not been feeling well in recent weeks. He complained to friends that he was feeling old, that his hands and arms were feeling numb, that it was getting harder to play the guitar. And so the Texas Tornados singer drove to New Mexico, which often served as an inspiration for songwriting. This time he came here to be healed. But on Thursday, Sahm, 58, was found dead in a Taos hotel room. The cause of death is still unknown. Police have said foul play is not suspected. Initially, the state Office of the Medical Investigator released Sahm's body to a Taos funeral home, however, now the OMI will conduct an autopsy on Monday in Albuquerque after a request from Sahm's family in Texas, OMI spokesman Tim Stepetic said Friday. Sahm rose to fame in the 1960s with the Sir Douglas Quintet, but he was best known in recent years for his work with the Texas Tornados. He usually visited New Mexico about four times a year, said Sharon Steiber, a former Austin, Texas, resident living in Santa Fe and perhaps the last friend Sahm saw. Sahm usually drove a Cadillac or Lincoln Continental when he traveled, Steiber said. ``He loved to drive and be out on the road,'' she said. Usually Sahm enjoyed going out to restaurants in Santa Fe, but this time he wanted to eat at home, Steiber said. Sahm said he had seen doctors in Texas recently. He was concerned because his arms had been feeling numb and he was having trouble making a fist. He feared he was getting carpel-tunnel syndrome. One doctor said he might have tendonitis. The two went to Wild Oats supermarket Saturday, where they met up with Jimmy Stadler, a Taos musician who had played at a Texas music festival with Sahm a few years ago. Sahm might have spent Sunday night at the El Rey Inn, Steiber said. A receptionist there would not confirm whether he stayed there. Sahm told Steiber he was planning on spending at least one night at Ojo Caliente Mineral Springs. A clerk at the facility confirmed that he checked in Monday and checked out Tuesday. Then on Tuesday he made it to Taos. A Kachina Lodge desk clerk confirmed Friday that Sahm checked in Tuesday. On Wednesday morning Sahm called Stadler at his home. ``He said he was feeling bad and asked me to set him up with a doctor, to find someone who could do a house call,'' Stadler said. This was the last known conversation Sahm had. The Kachina Lodge desk clerk said a maid went to the room and opened the door. Police and an ambulance arrived, but Sahm was pronounced dead at the hotel.